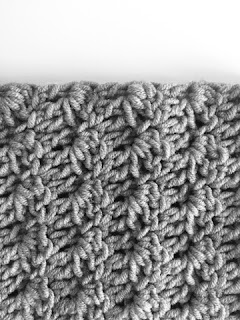 I’ve discovered another stitch that works up amazingly well with a chunky weight (5) yarn–the Silt Stitch. I love that it is fairly simple, yet looks complicated and elegant. The yarn I used is Lion Brand, woolspun with a size with an 8.00 “L” size hook. Check the label of the yarn you want to use and see if it says “5” on the weight. Your cowl will turn out differently with a smaller weight yarn and of course go up or down a size on the hook-everyone has different tension and yours might not be the same as mine. Chain a multiple of 3. For mine I chained 27. It seemed to be a pretty good distance between my chin and collar bone. I wanted this one tall enough to be able to pull up over my nose for very cold weather. This scarf is worked back and forth, not in the round back and forth. Hope that’s not confusing. ROW 1: SK first 3 CH, DC into next and each ST across. Turn. ROW 2: CH 1, 2 DC into first ST, *SK 2 STS, SC 1 and DC 2 into next stitch, repeat * to the last 3 stitches, SK 2 and SC into the top of the turning CH. ROW 3: CH 3, DC into next and into each ST across, turn. Repeat row 2 and 3 until the distance wraps all around your neck. I did 28 rows. 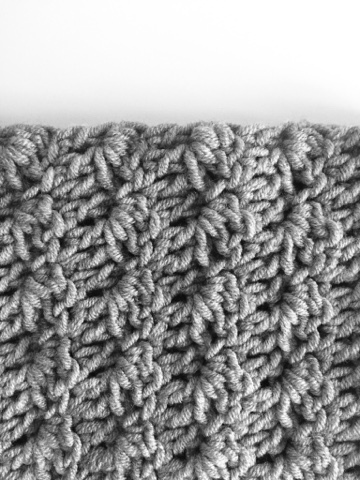 With right sides together, slip stitch the ends together. Sew in ends. Don’t forget to tag me on Instagram @daisyfarmcrafts if you decide to make this! 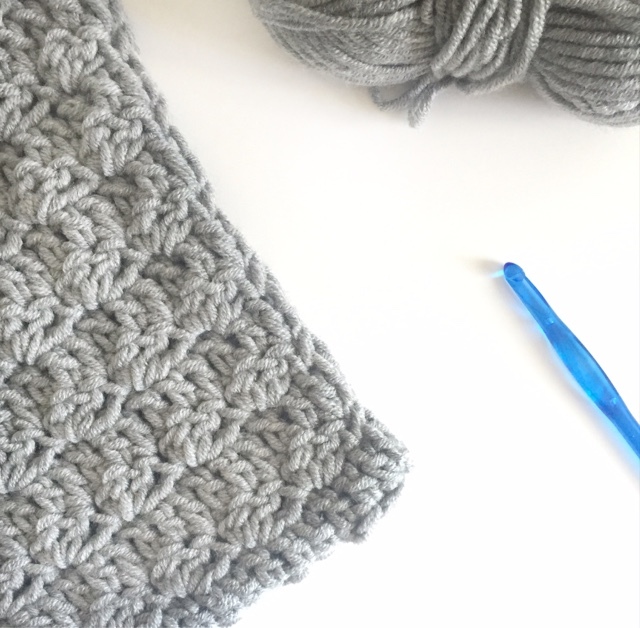 I’d love to see and compliment you on your cowl!